Governor Steve Bullock (D-Mont.) issued an executive order outlining this move. The order broadly prohibits state contracts with ISPs that block content, throttle speeds, or offer paid prioritization that “unreasonably interferes” with consumer access to content or “unreasonably disadvantages” consumers. Basically, ISPs that do business with Montana cede ability to manage their networks. Of course, the order vaguely defines unreasonable interference or unreasonable disadvantages. Actions classified as “interference” or “disadvantageous” are defined, but not the difference between a reasonable and unreasonable instance of either. Failure to define these terms gives the Montana executive branch authority to arbitrarily choose which companies comply with net neutrality. The perverse incentives, such as the potential to reward companies that contribute to the Governor’s political party, run amok. More damaging though, this order is an unconstitutional attempt at defining business conduct with state power. The commerce clause of the United States Constitution clearly grants Congress power over internet regulation since its business inherently crosses state borders. An overwhelming majority of websites viewed in Montana aren’t based in Montana, and ISP infrastructure likely crosses state lines. Subjecting interstate commerce to Montana-specific policy is illegal. For example, if Netflix entered a national paid-prioritization agreement with an ISP, Montana would not have authority to regulate the transaction within Montana. All internet regulation must come from Congress. That’s why Governor Bullock tried attaching the idea of net neutrality to state contracts. This seems Montana-specific on the surface. But Montana can’t legally coerce its way out of private interstate decisions through state contracts either. Interstate commerce of of any sort falls under Congressional jurisdiction. Montana would be better off by allowing the Federal Trade Commission (FTC) to handle alleged anti-competitive practices by ISPs like throttling or blocking. If ISPs fall under Title I of the Federal Communications Act, the FTC has the authority to act on this issue, including practices that unfairly damage consumer welfare or deceive consumers. Alleged blocking or throttling, or even hypothetically “harmful” forms of paid prioritization are all subject to FTC review without net neutrality. Fears of predatory throttling, blocking, and pricing are vastly exaggerated by net neutrality activists and the few historical instances of these occurrences have been duly handled by FTC and FCC prior to the Obama administration’s regulation of the internet. Plus, Montana’s order still ignores that Title II regulation killed internet investment. Similar regulation will have the same effect in Montana. There’s no reason to believe otherwise. Broadband investment following implementation of net neutrality fell $160-200 billion off industry projections made during 2005-2010. FreedomWorks has fiercely opposed Obama-era net neutrality policy since its incipient days. Price controls prevent innovation and drain investment. We’ve previously debunked fears of censorship, a slow internet, and anti-competitive monopolization. Montana’s divergence from the FCC’s Restoring Internet Freedom Order is a bad move. 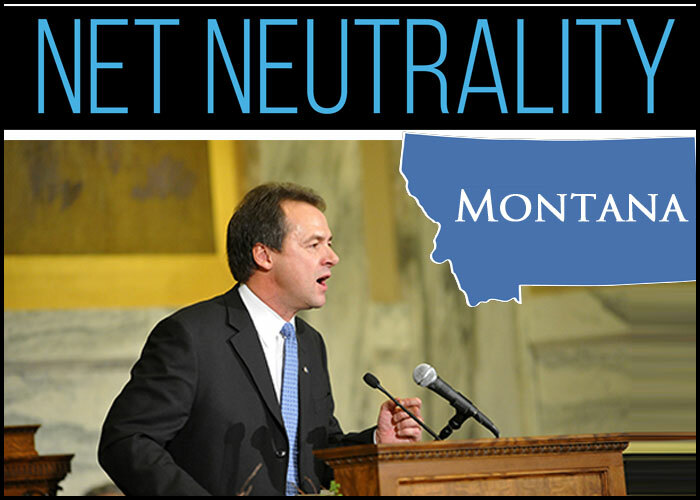 It’s a shame that Governor Bullock’s genuflection to liberal activists might sacrifice critical broadband investment for Montana’s rural communities.